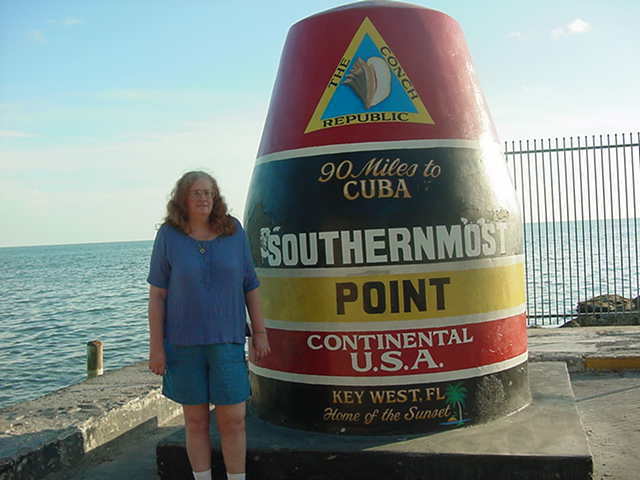 Me again, standing in front of the Southernmost Point marker. As it says, only 90 miles from Cuba. This landmark is the most photographed place in Key West. We had to stand in line for a while to be able to get this picture.